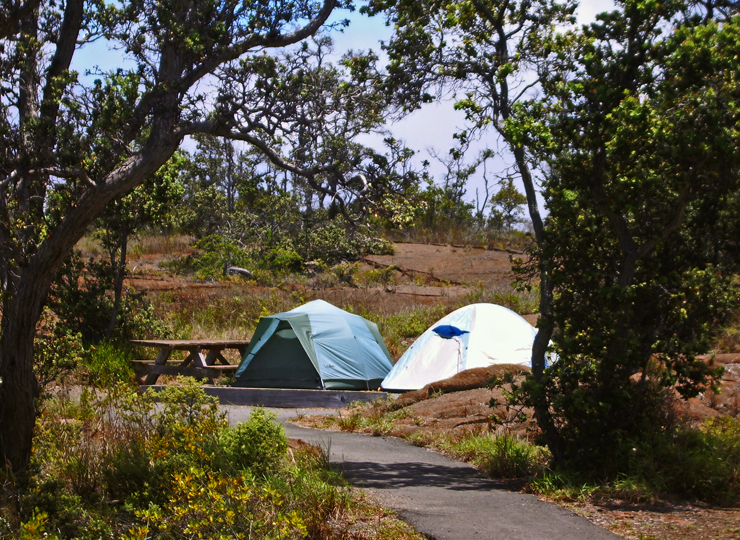 As you continue driving around and exploring Hawaii Volcanoes National Park you will find many great hiking and bicycling opportunities. 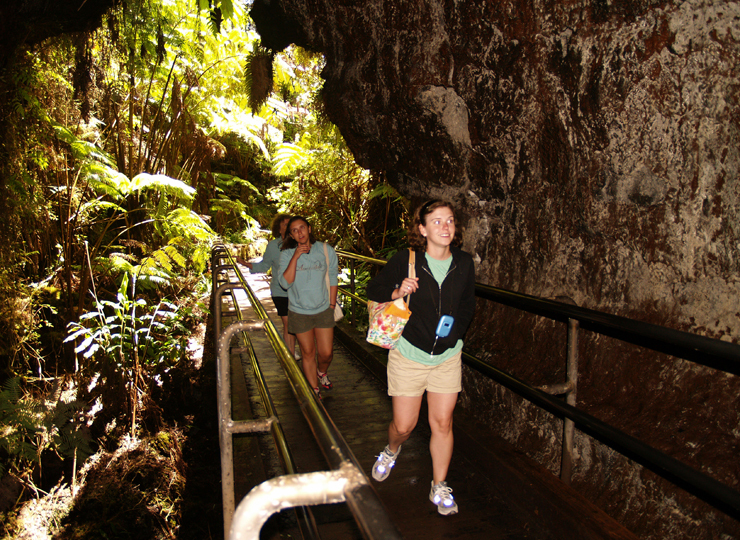 Tour Guide has some 50 sights to see in the park and has details such as, parking, food and water and restroom facilities along the way. 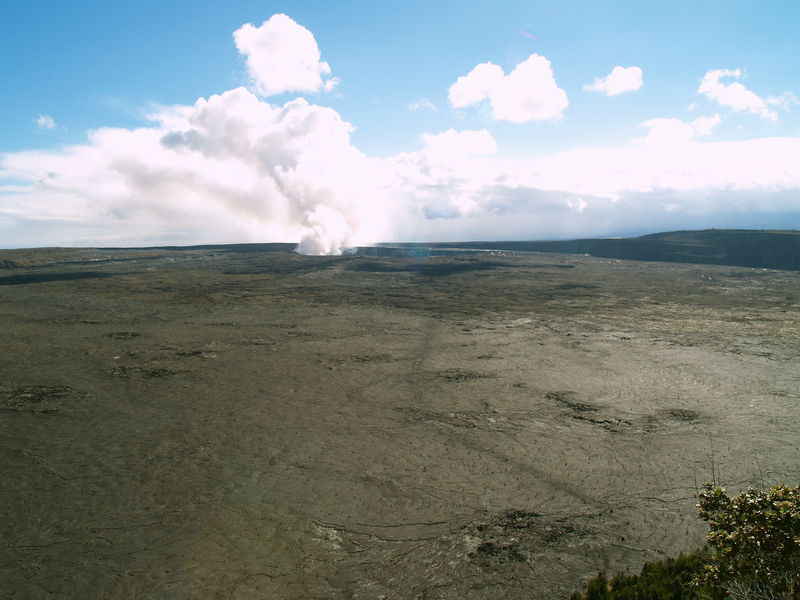 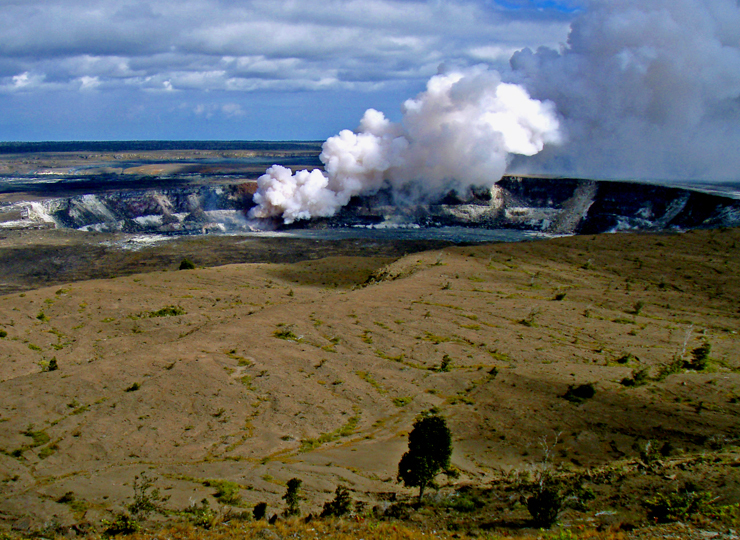 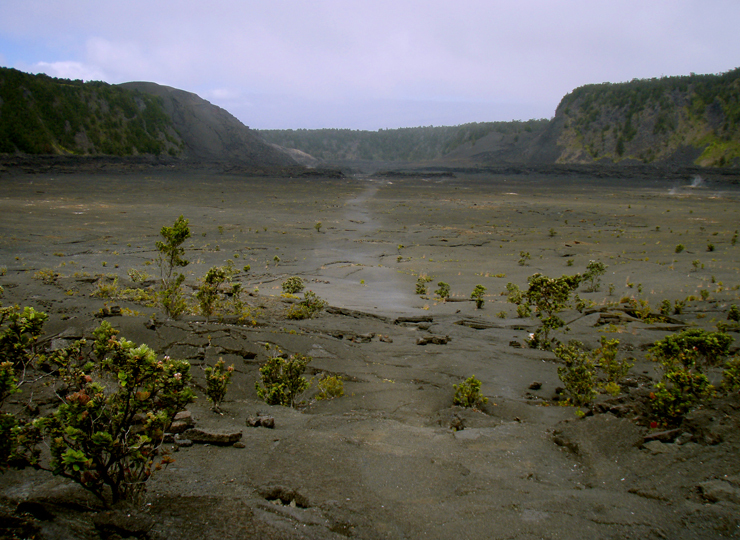 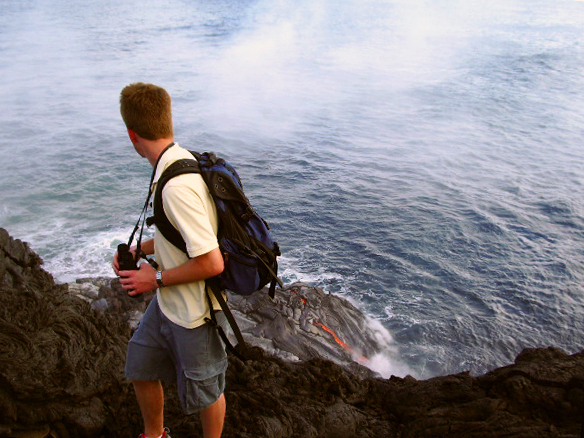 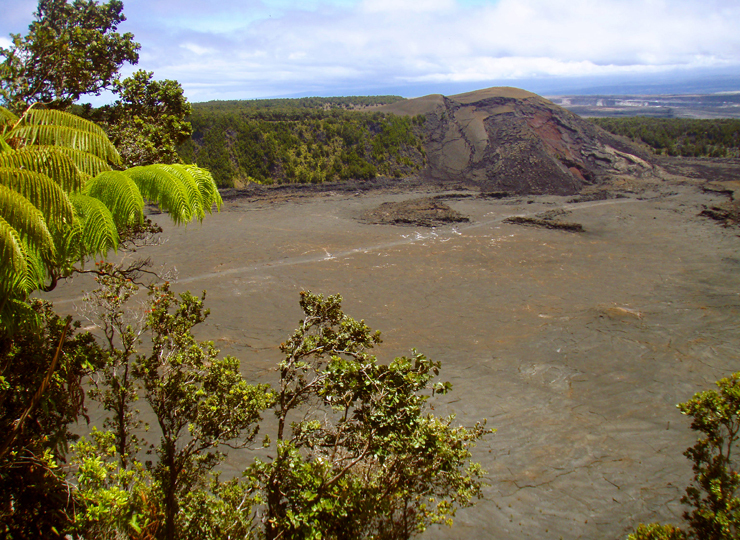 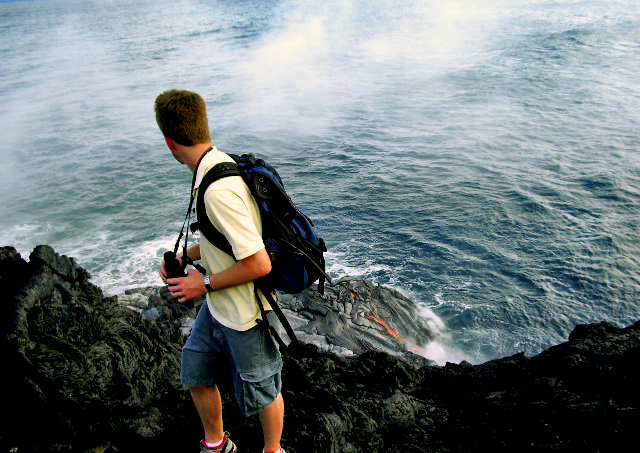 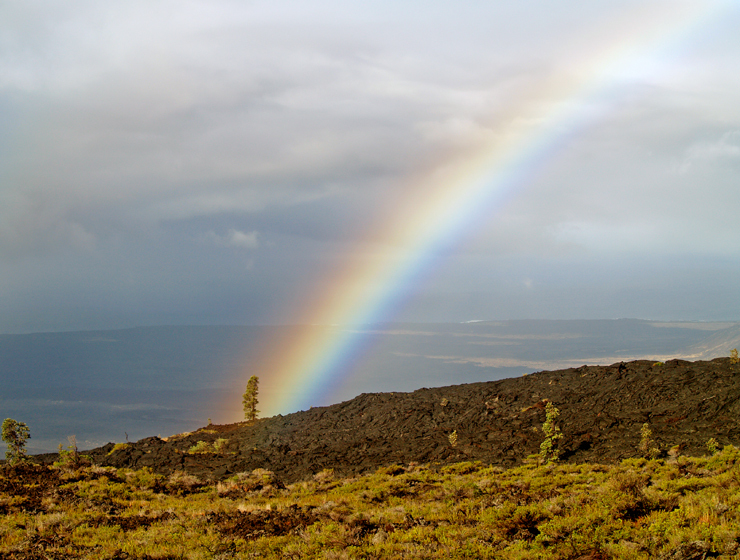 One of the best day hikes in the park is the Kilauea Iki Crater Trail. 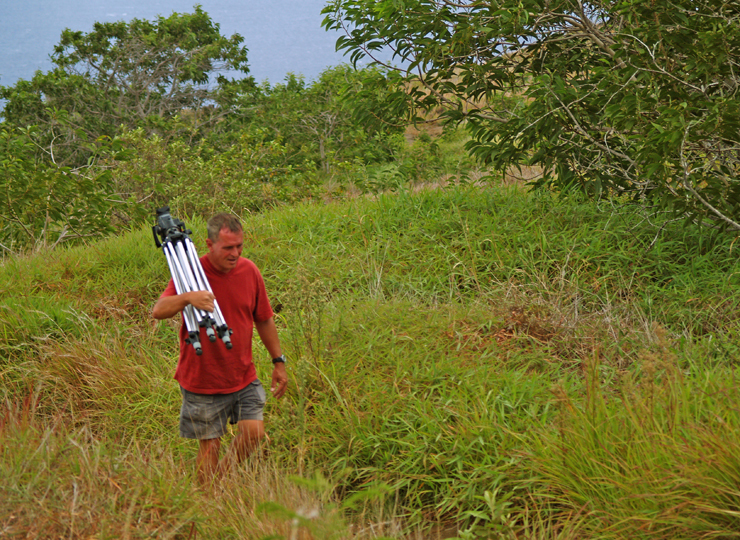 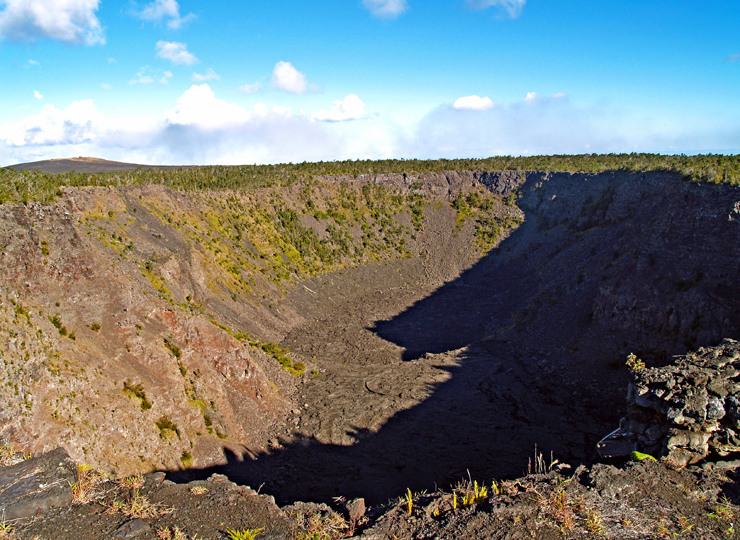 This four mile round trip hike, about three hours at a nominal pace, will descend into the crater itself. 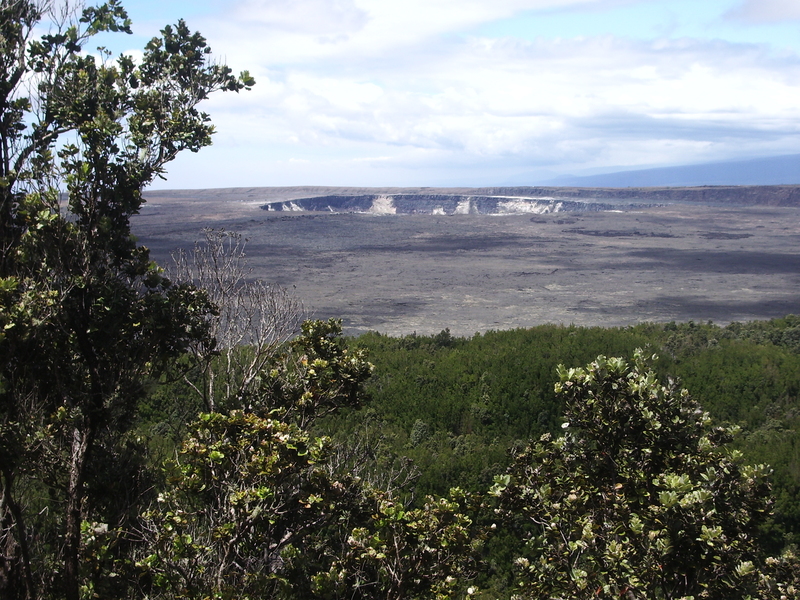 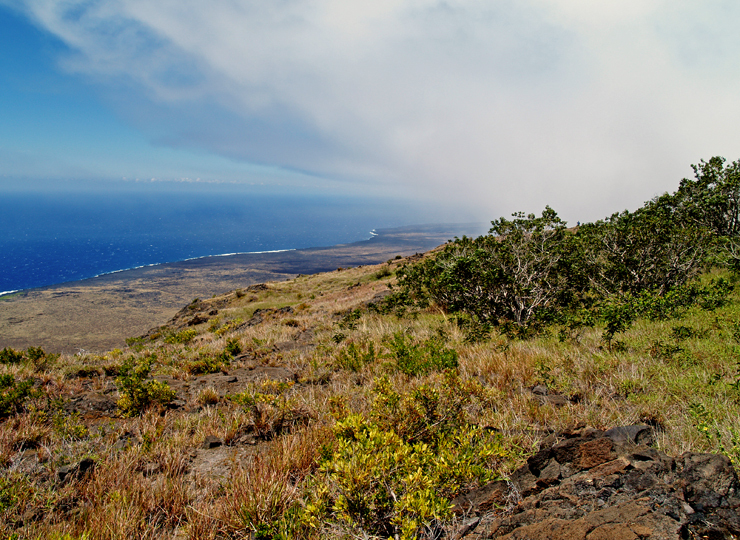 From the floor of the crater, you will see fern, Ohia, and tropical rainforest crowding right up to the rim. 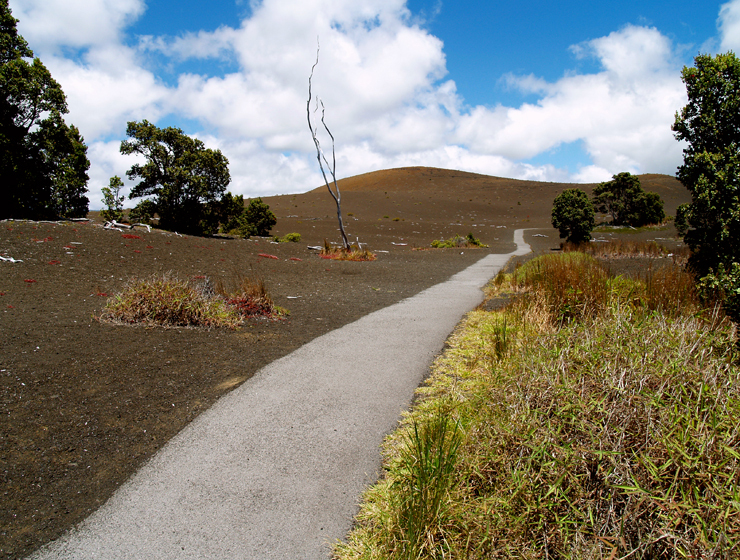 The floor itself is stark desert, by comparison, as the trail takes you across and then up the other side. 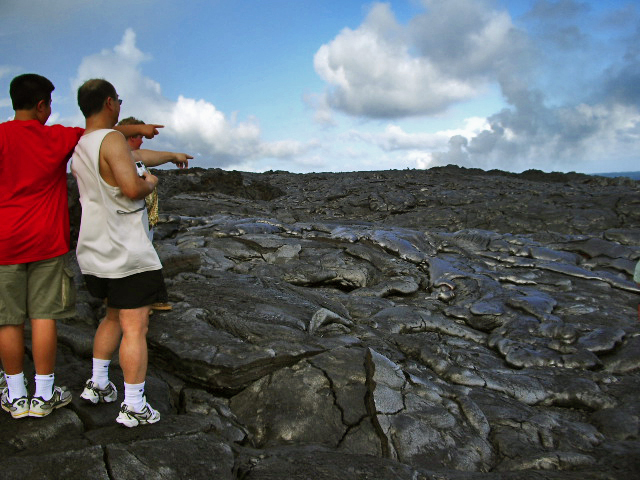 Make sure to bring plenty of water and maybe even some snacks for this hike. 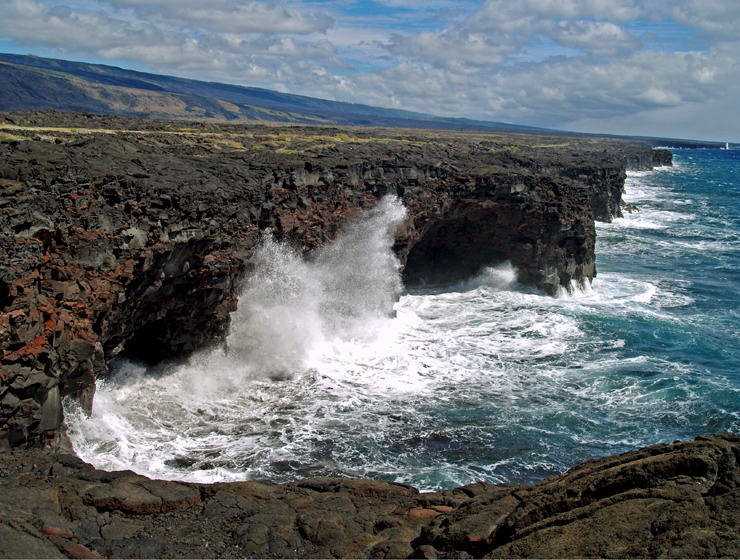 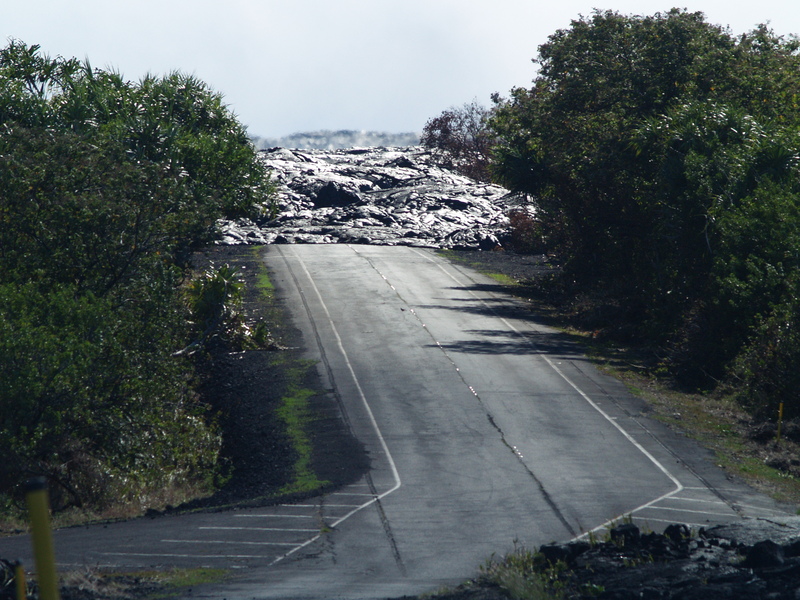 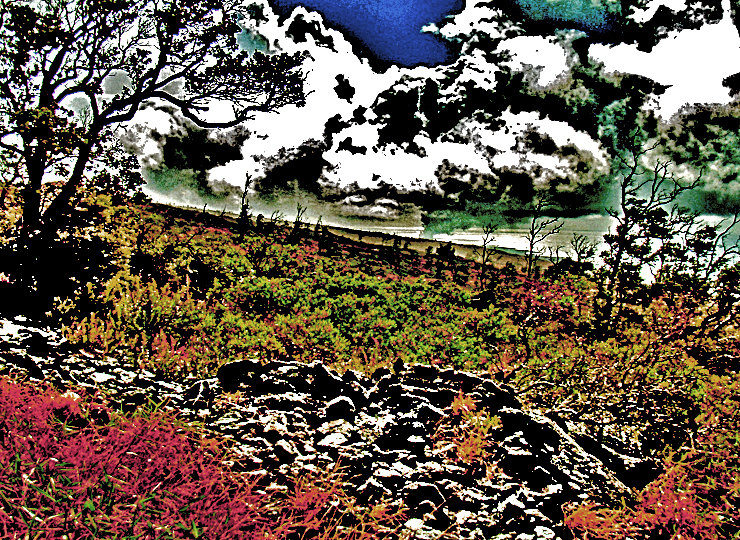 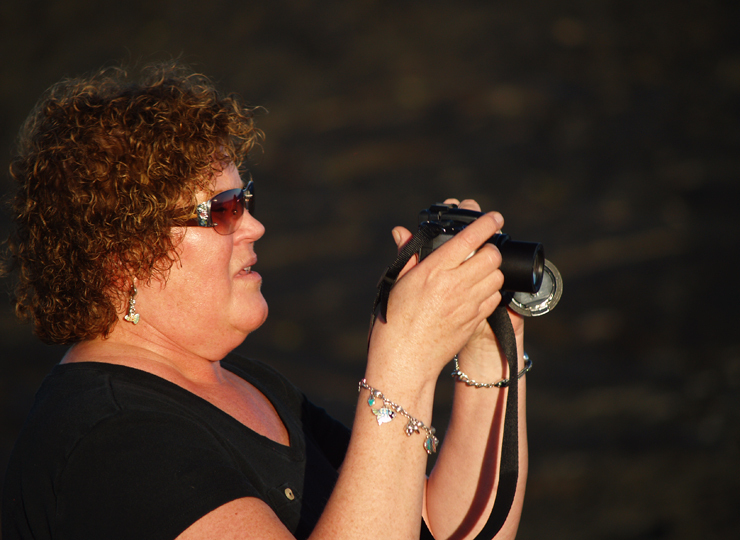 To see even more of the parks wonders, we at Tour Guide suggest a drive down the Chain of Craters Road. 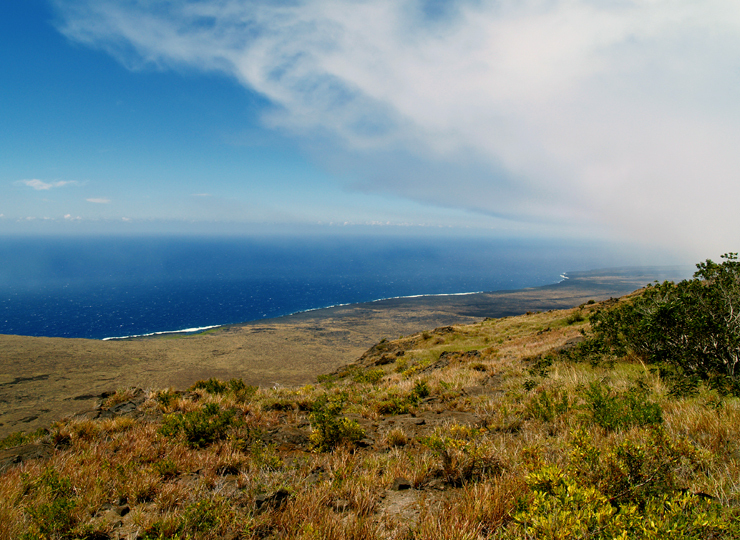 This drive unlocks dozens more sights, hikes and vistas from high mountain rainforest to the barren lava landscapes and scenic ocean views below. 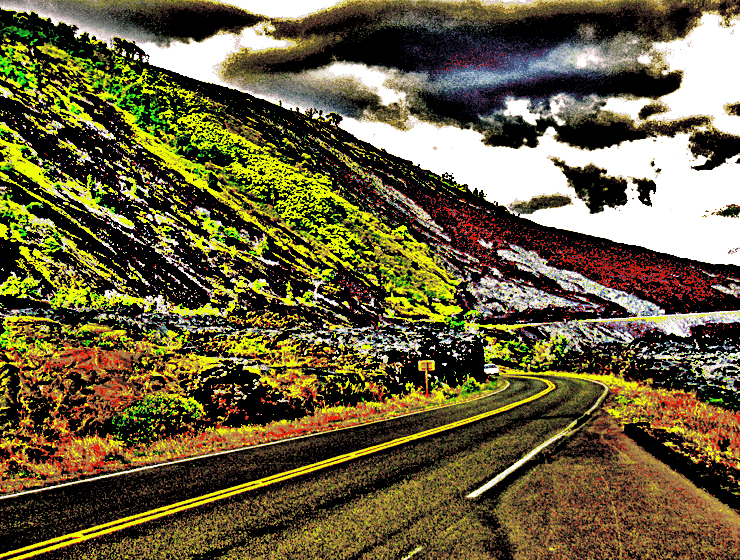 Along this road are a number of overlooks for some fabulous photography. 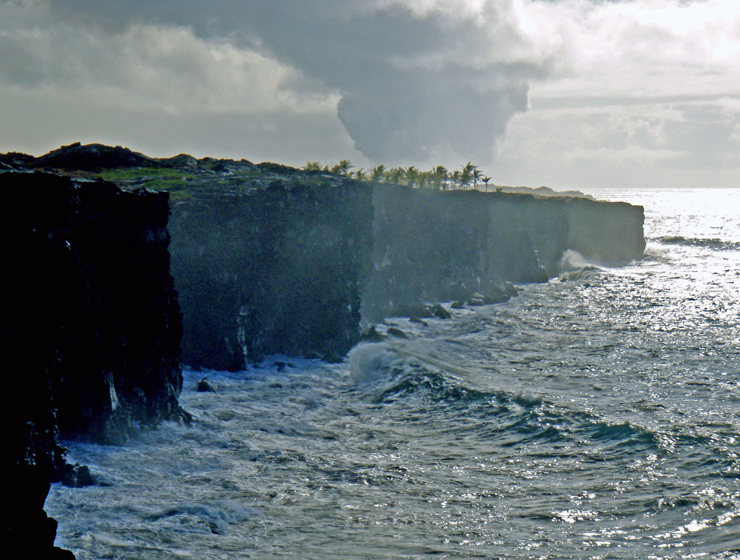 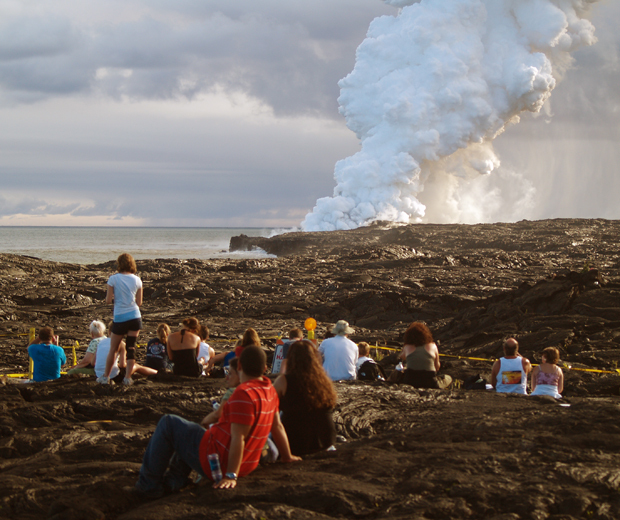 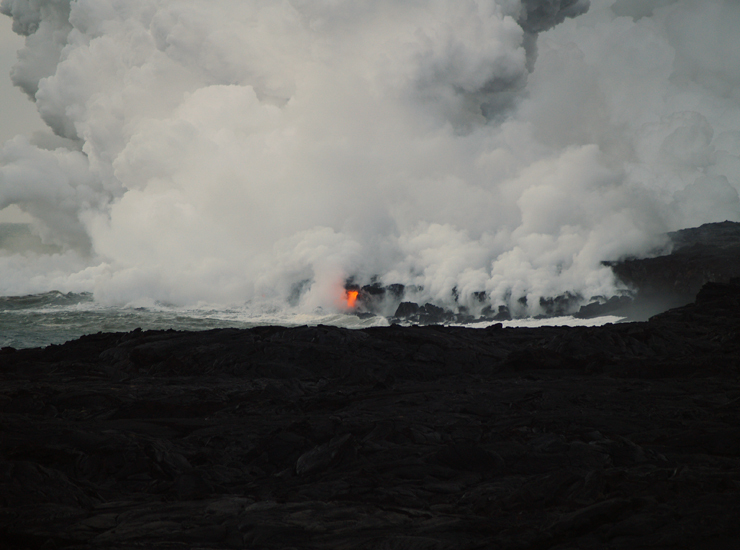 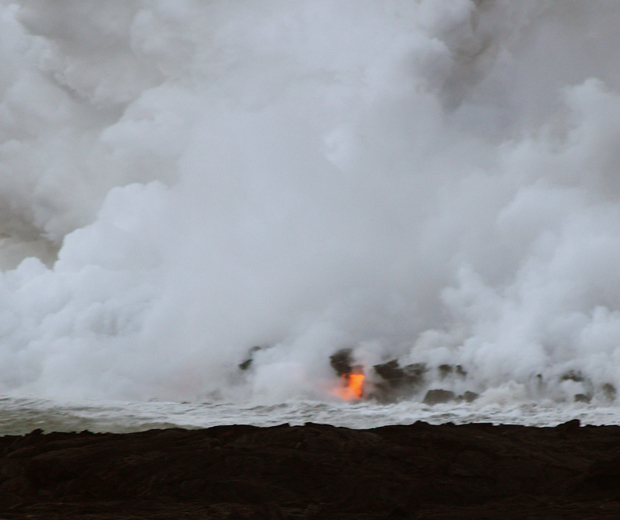 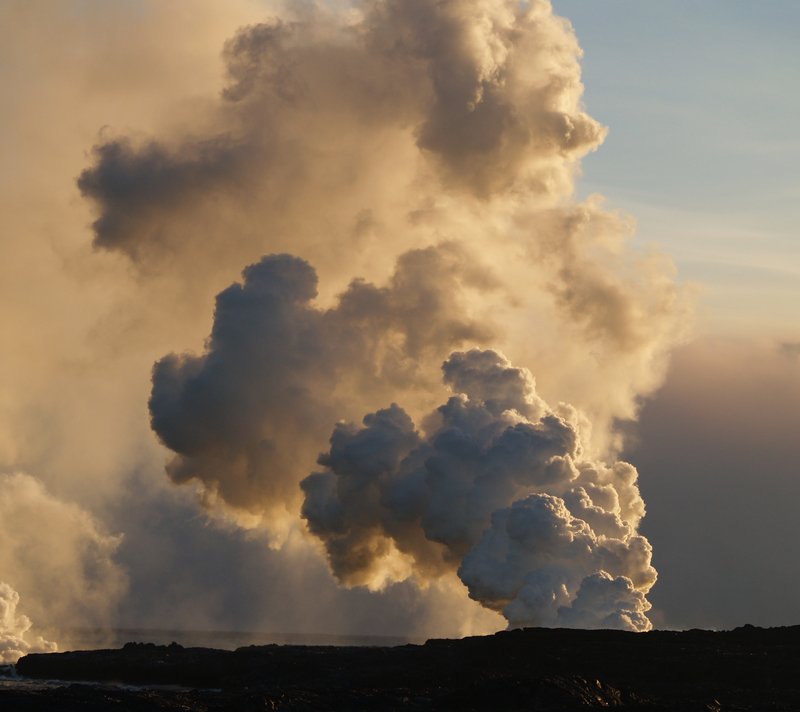 It ends at the sea where waves crash and spew against cliffs with steam clouds in the distance where lava reaches the ocean. 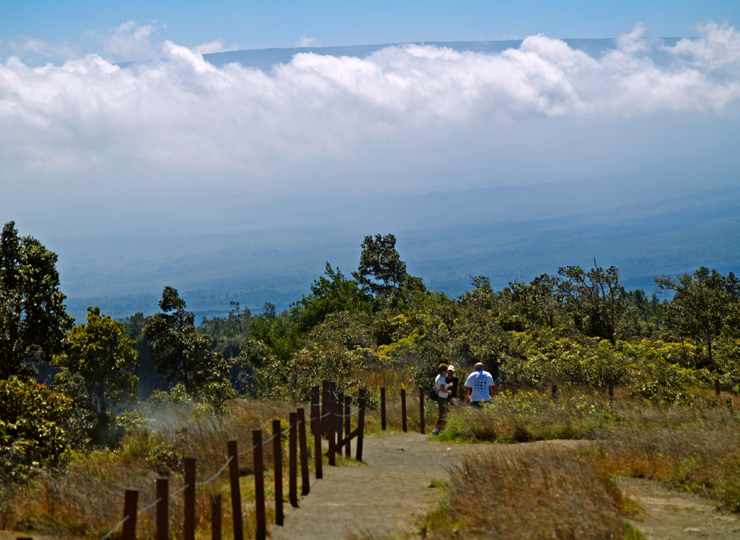 Let’s see what this stunning area has to offer. 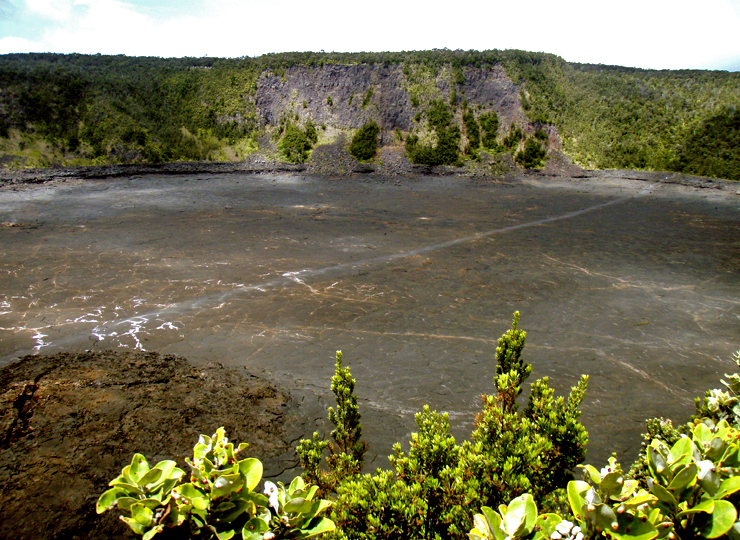 Lua Manu is a pit crater formed before written records were kept of the eruptive activity in the park. 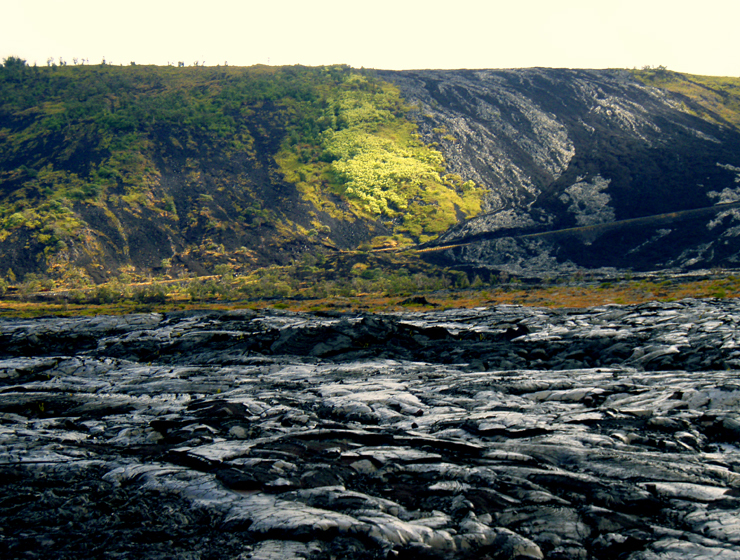 You will notice no cinder around the rim. 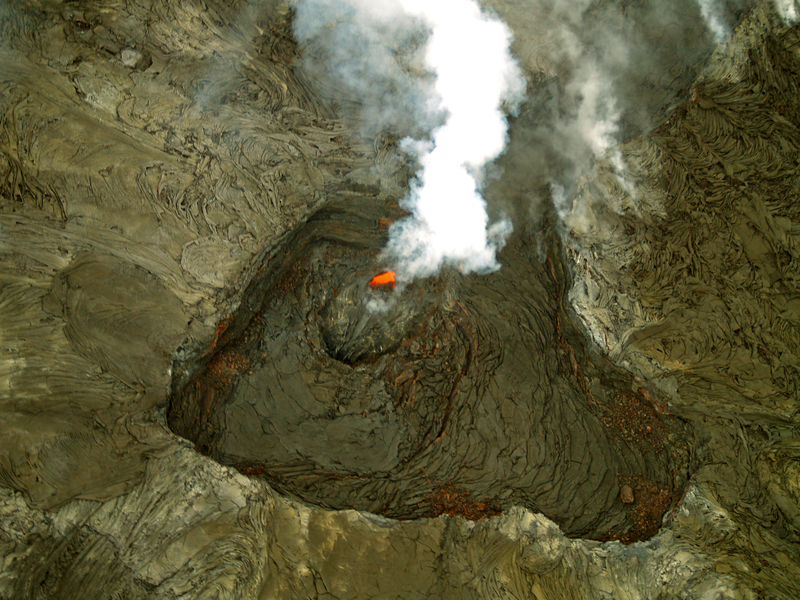 This indicates no eruption here but a lava lake that formed inside the pit. 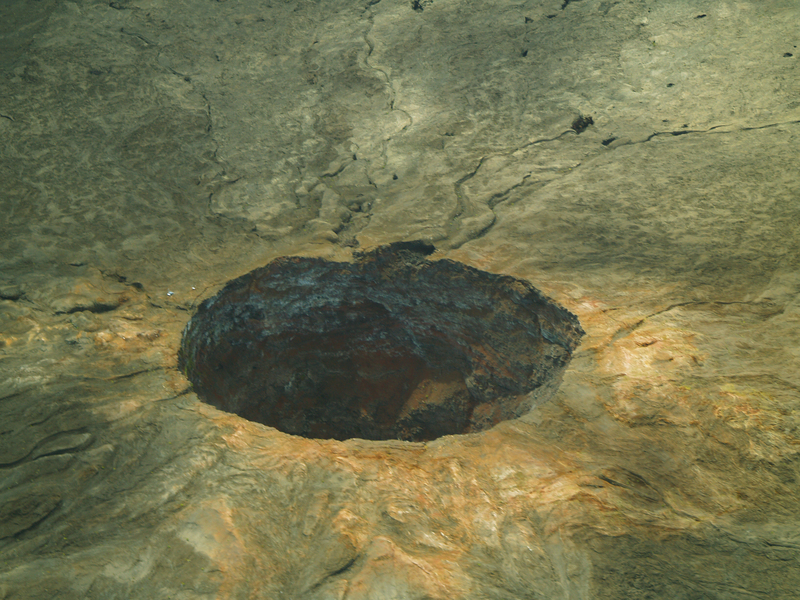 As it drained, the pit collapsed, the latest of which was in 1974. 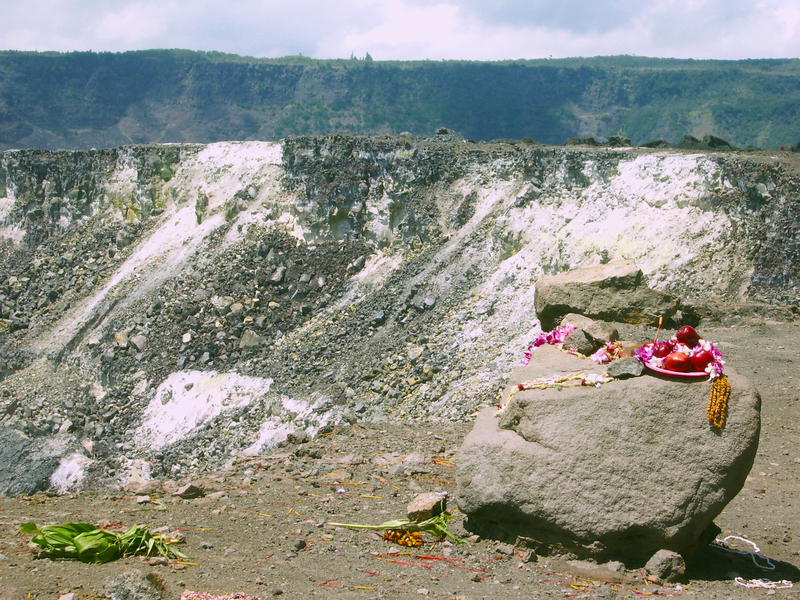 There are several more pit craters to see along this route and then you will come to Hilina Pali Road. 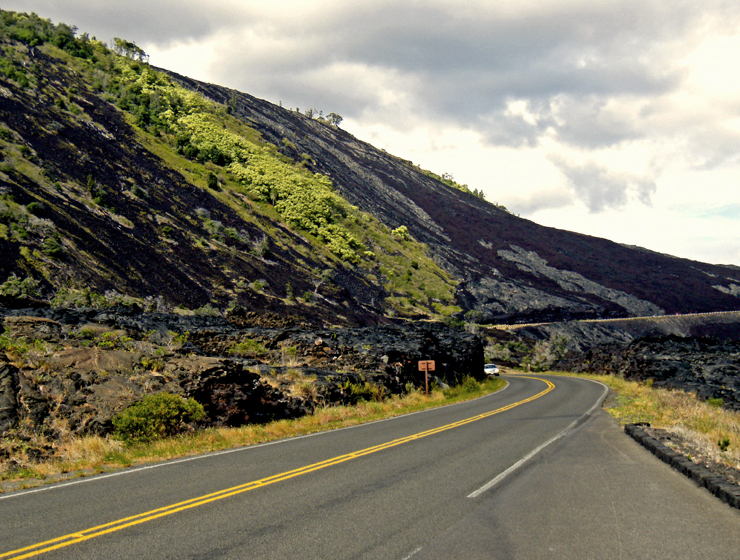 This nine mile road takes you to some of the most magical views of the National Park. 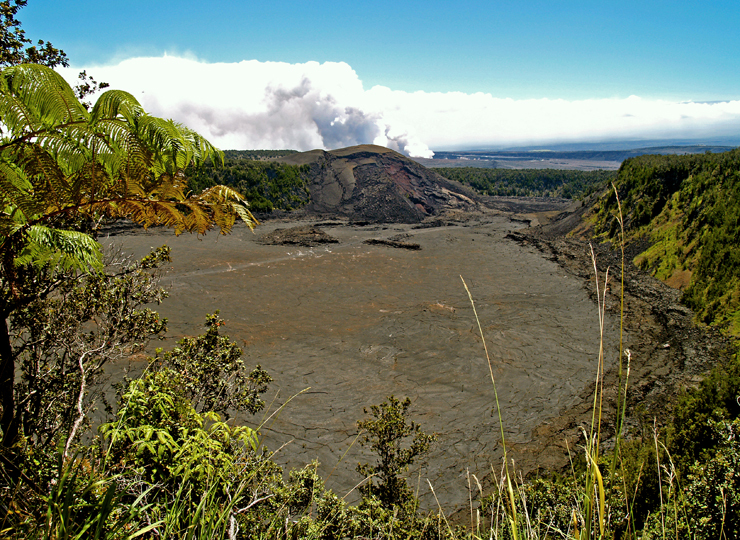 From forest down to the coast, the breathtaking scenery with leave you with the awe and majesty of Mother Nature and Madam Pele. 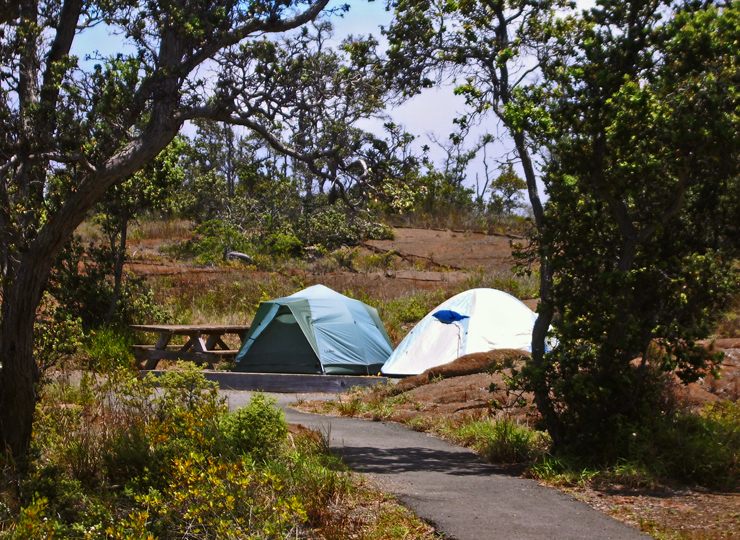 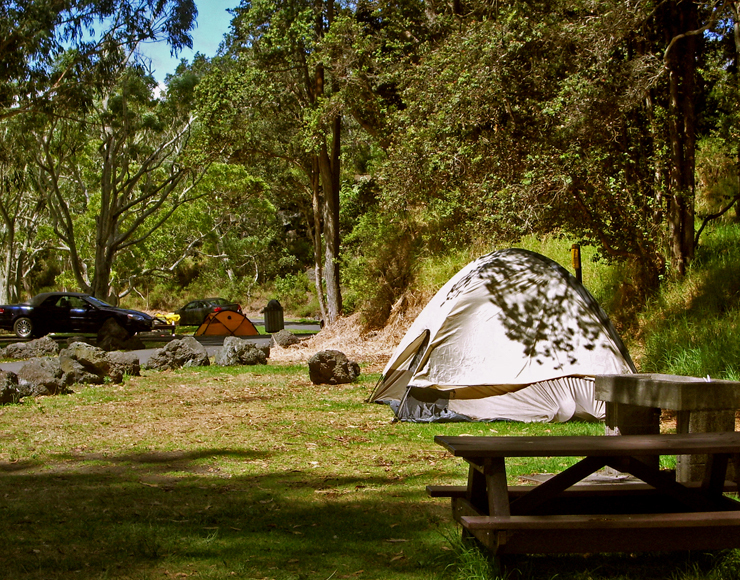 For the hearty campers, Tour Guide will lead you to Kulanaokuaiki Campground. 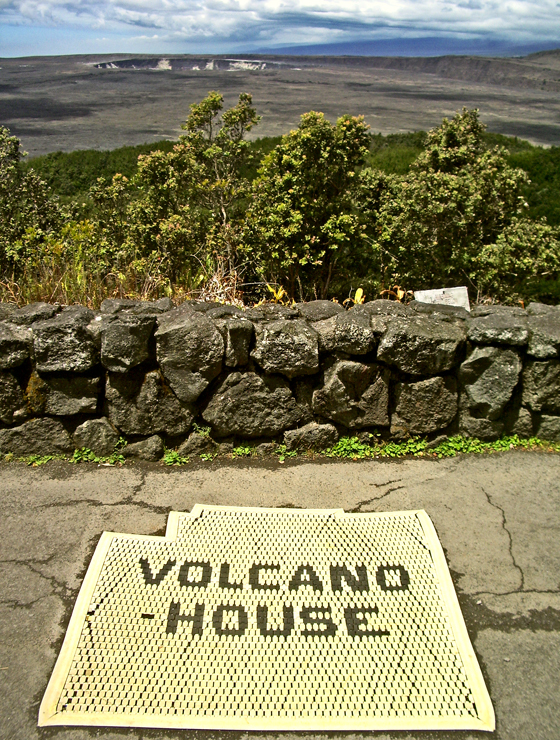 There are restrooms here but no water is available. 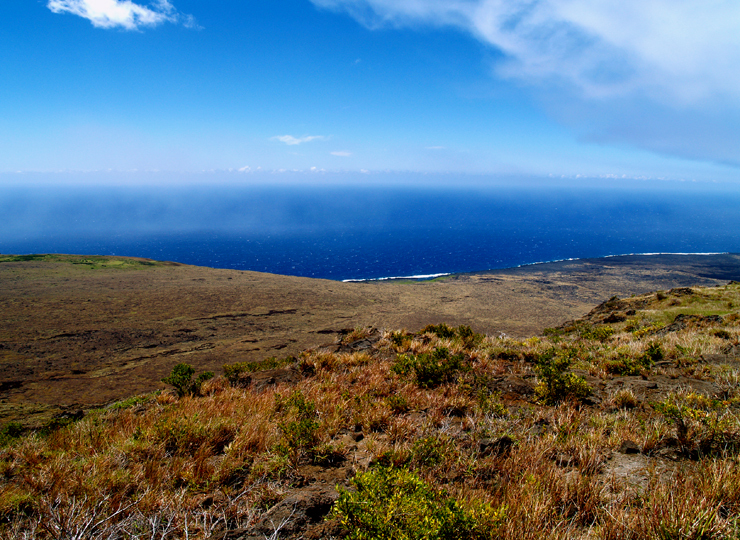 At the end of Hilina Pali Road is an overlook not to be missed. 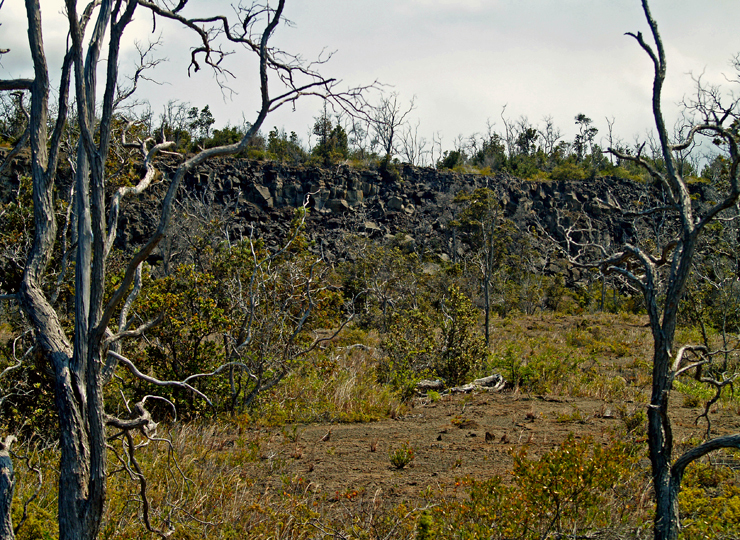 Back on Chain of Craters Road, Tour Guide brings you to Pauahi Crater, a large hourglass shaped crater that has held lava from many different flows over the years. 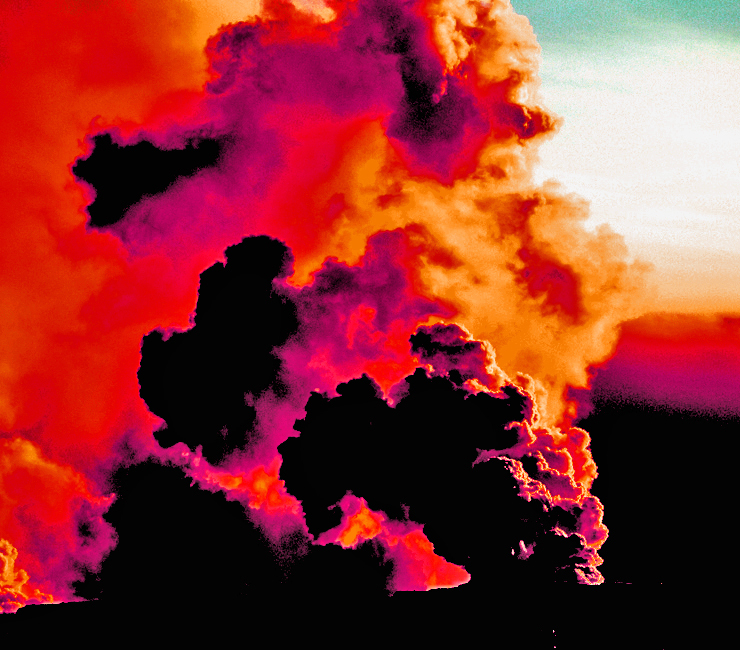 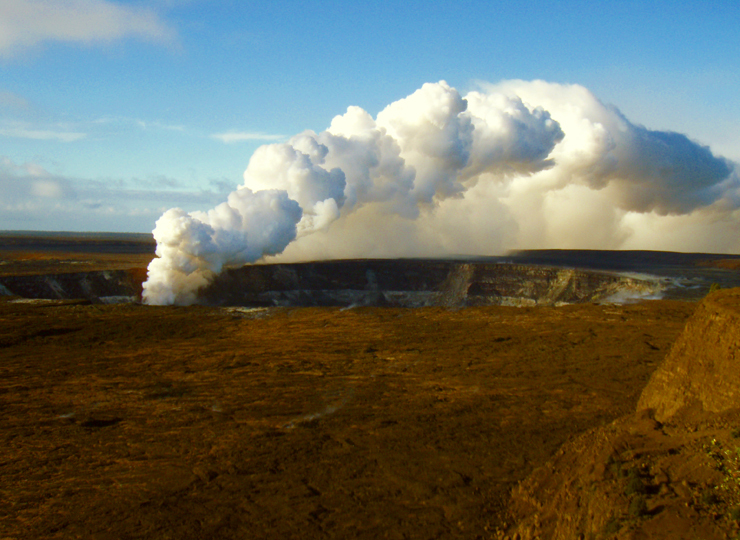 Most recently, the 1979 earthquakes opened the south rift of the crater and issued steam and lava fountains. 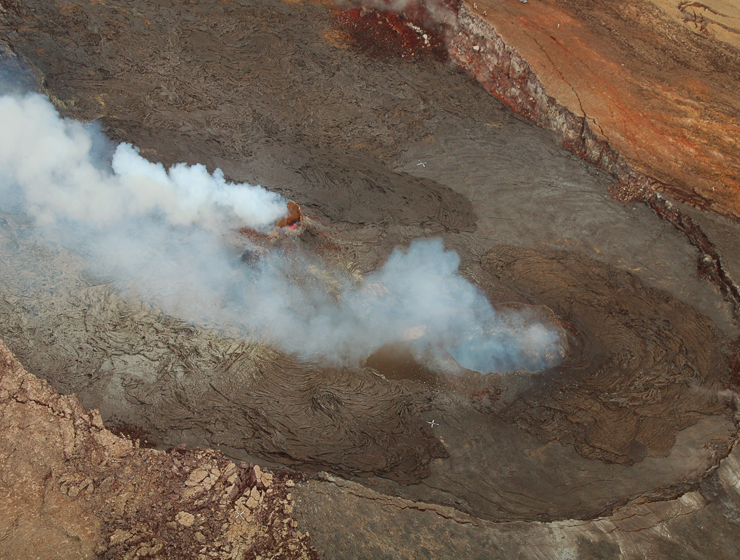 Though this episode only lasted one day, it was precursor to the current flows from Pu’u O’o in 1983 that destroyed hundreds of homes and businesses miles away in the Puna District. 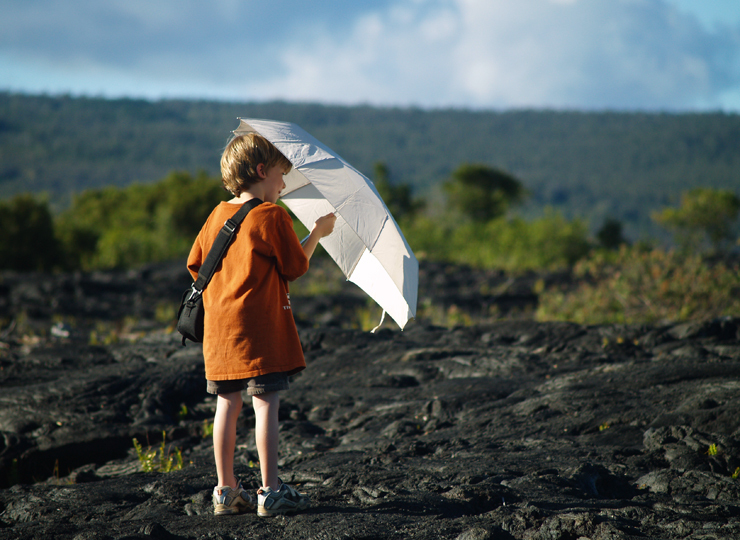 Tour Guide will guide you to Kipuka Kahali’i. 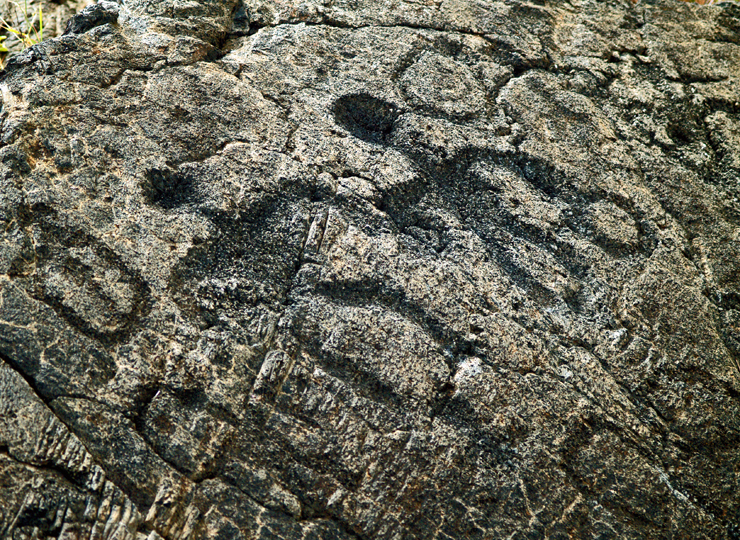 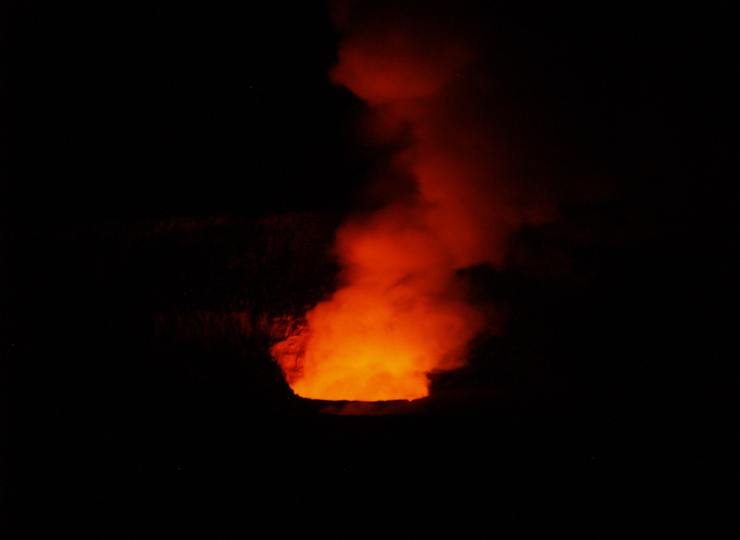 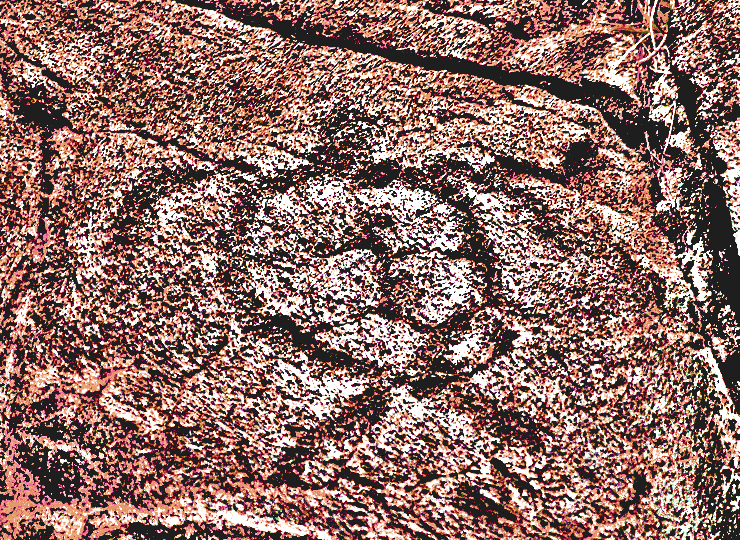 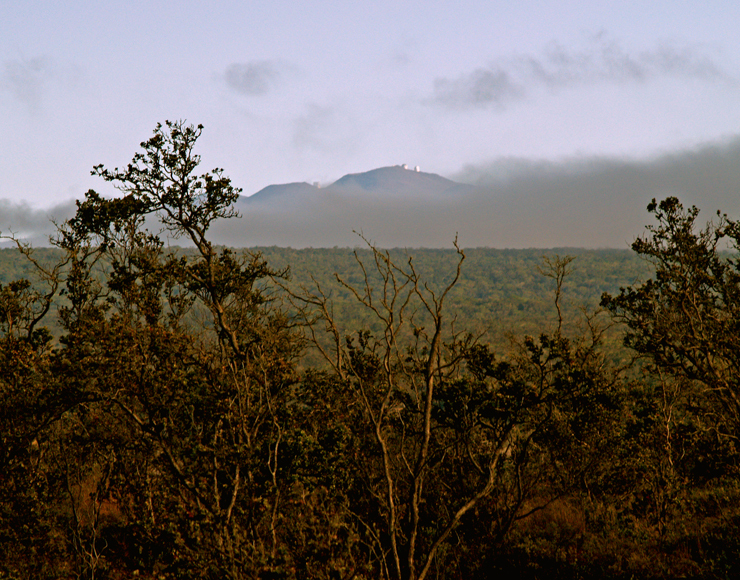 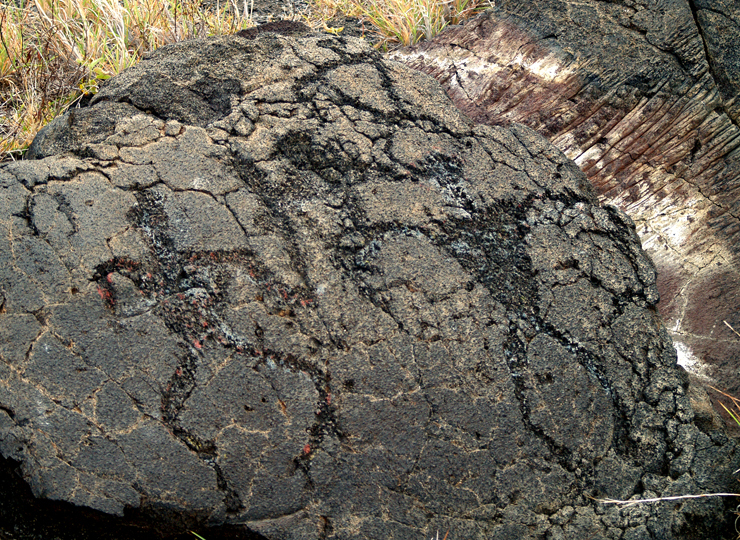 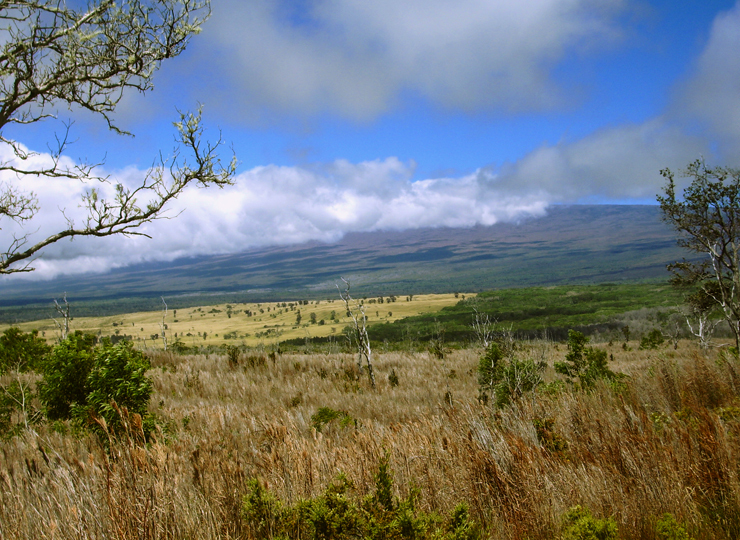 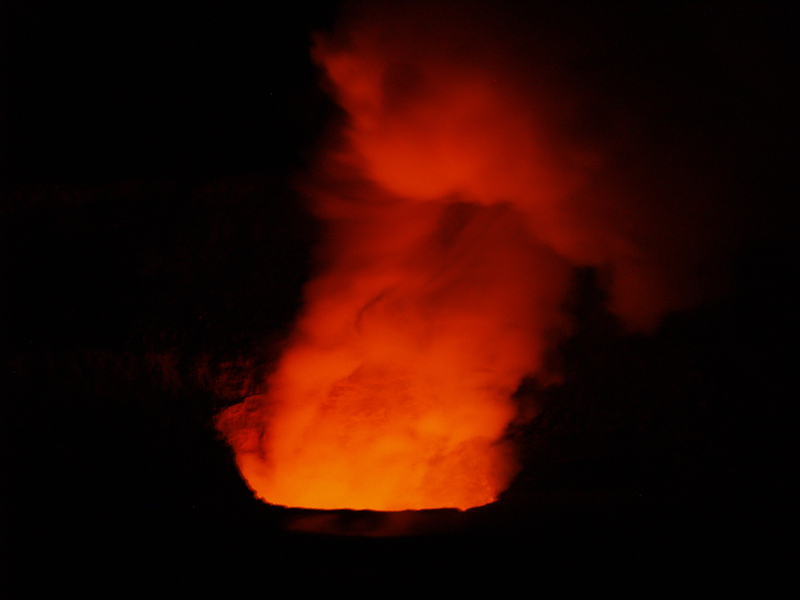 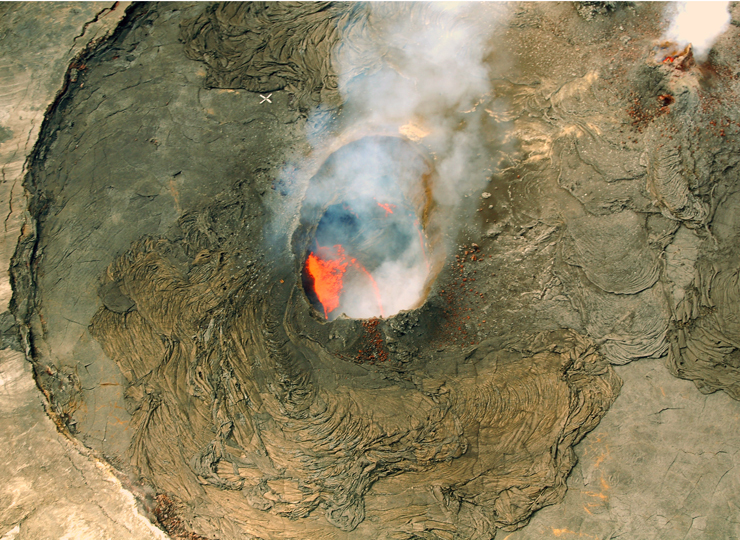 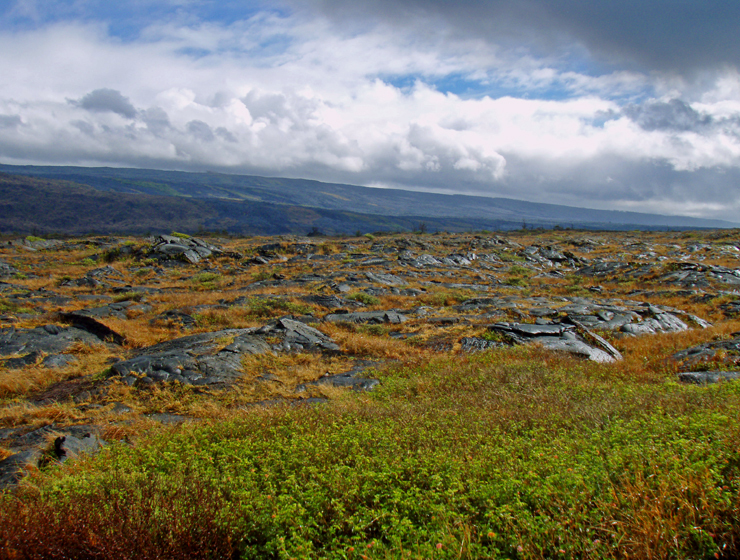 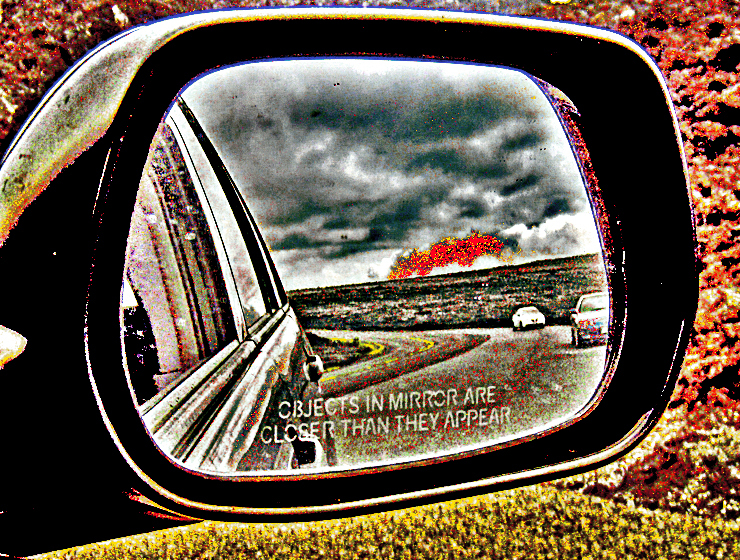 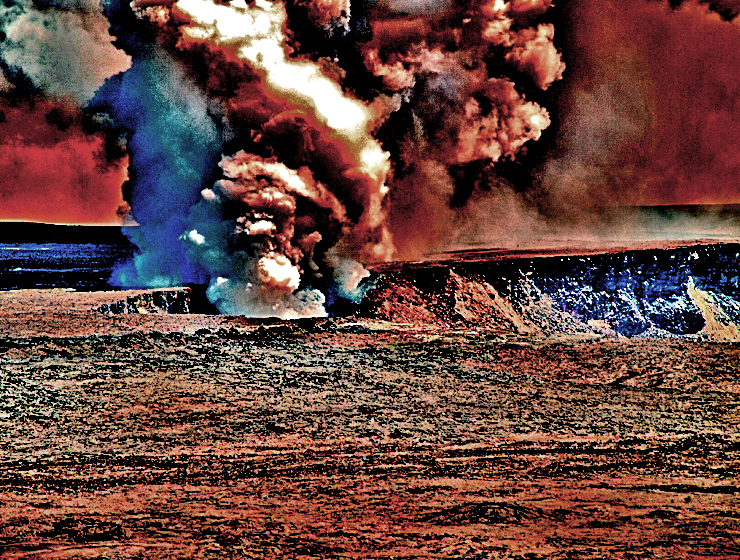 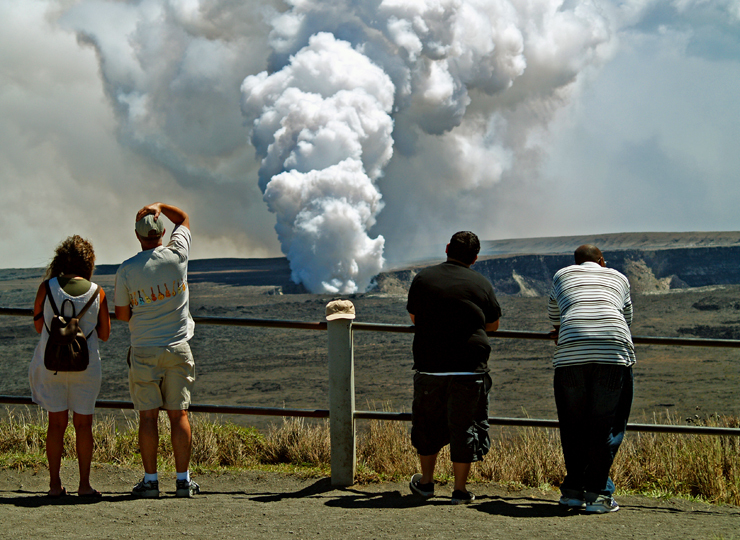 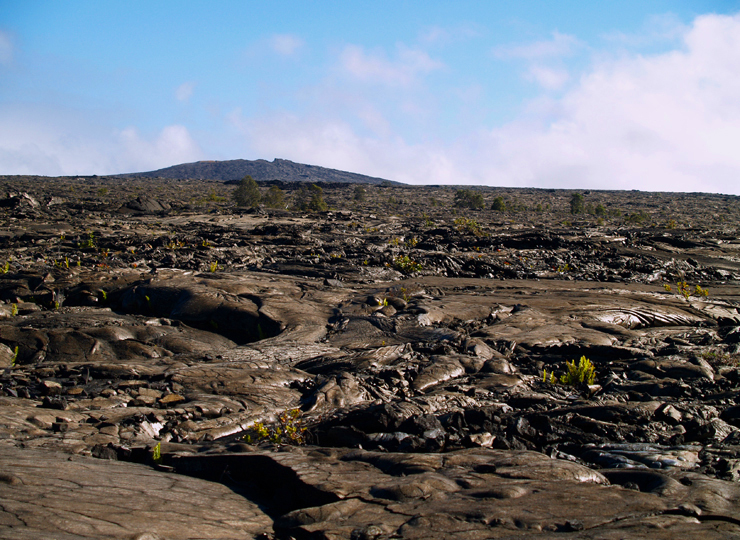 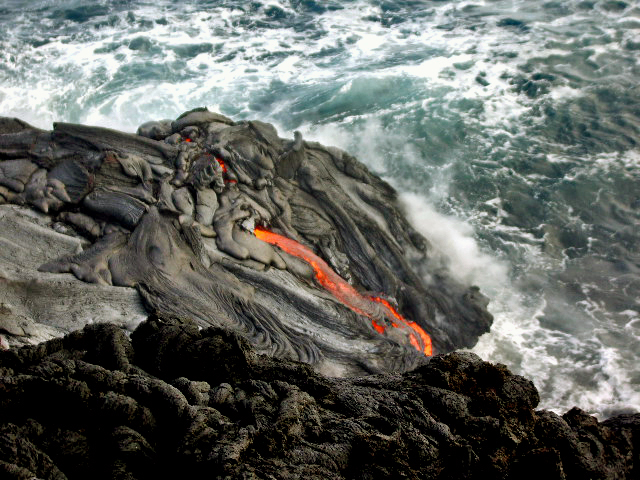 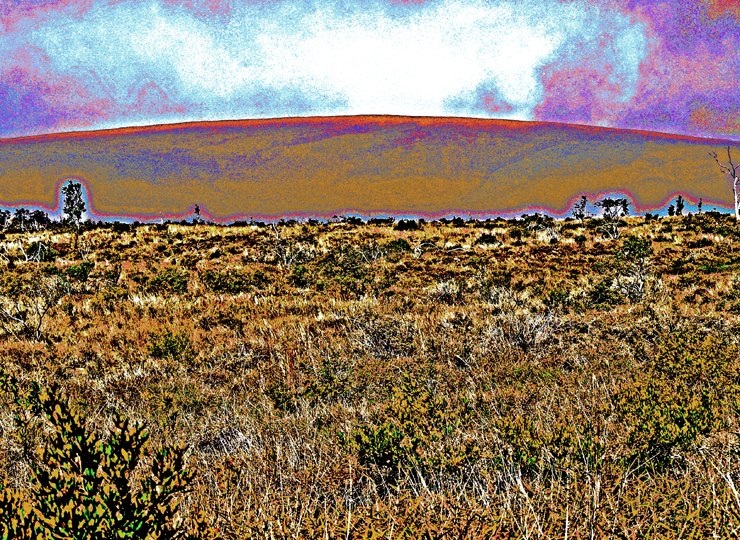 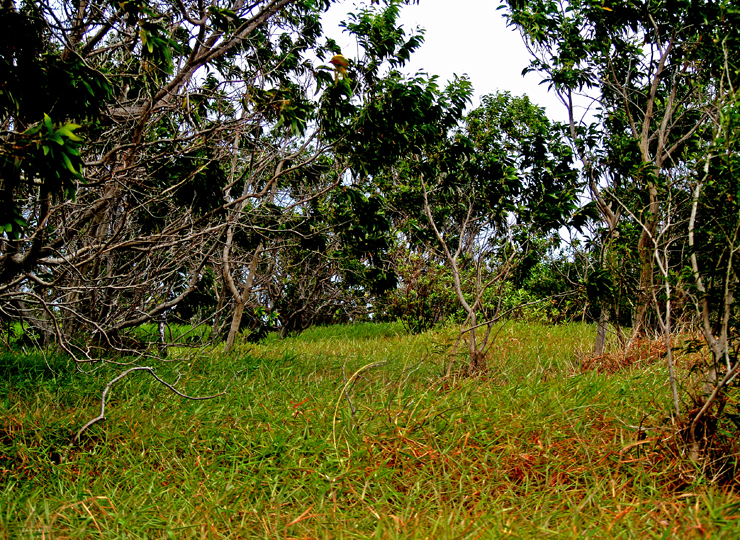 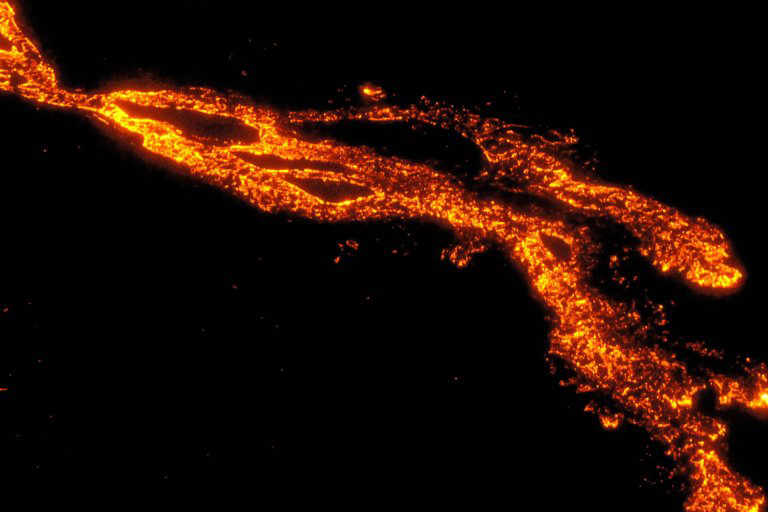 A kipuka is a hole or space where the lava surrounded forest or grassland but did not burn it. 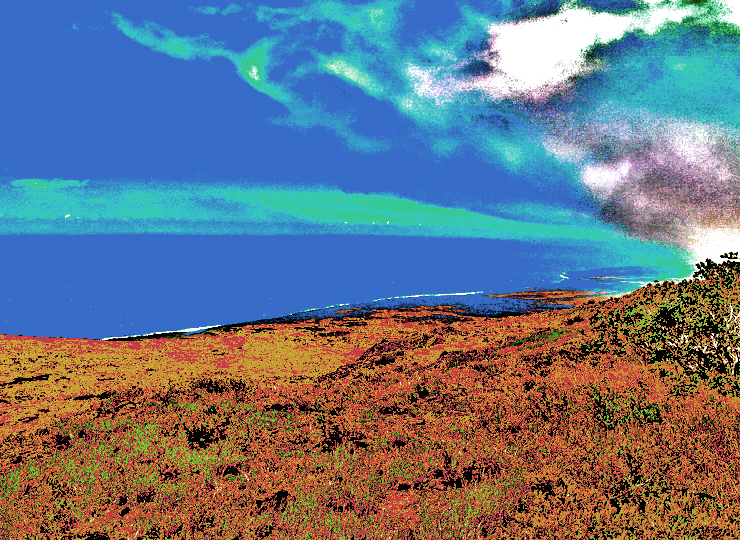 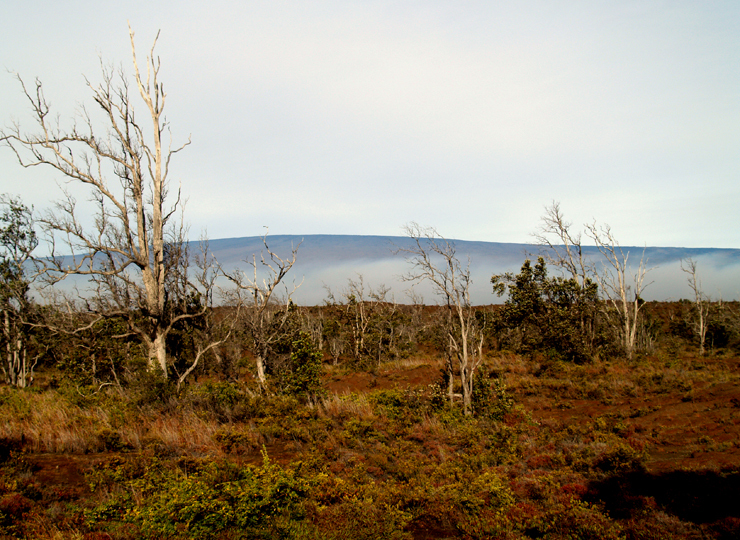 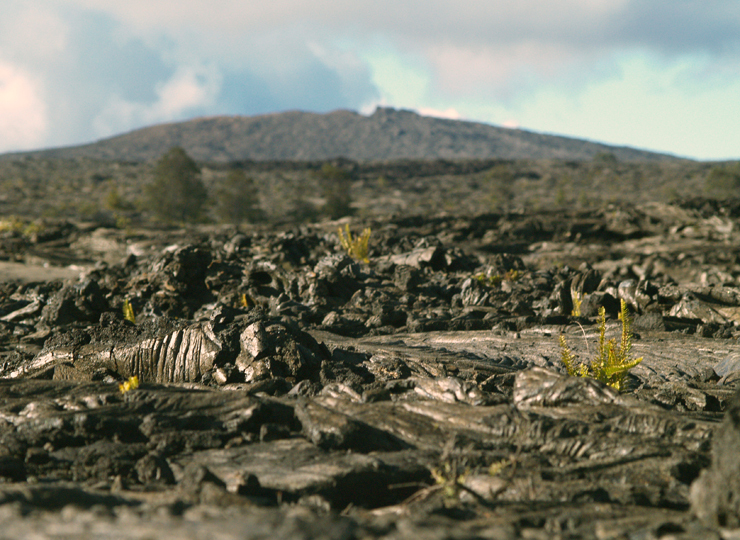 This one was partially devastated by the 1969 hot ash eruption of Mauna Ulu. 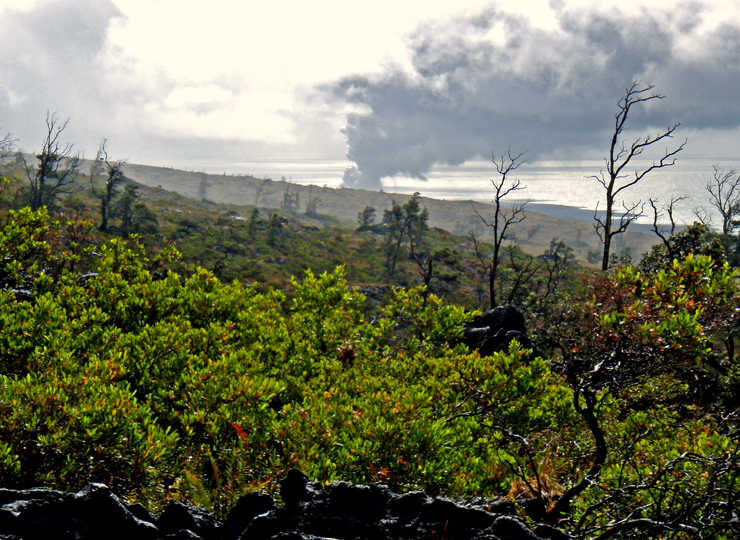 The tallest trees survived and some hearty species of plants have returned. 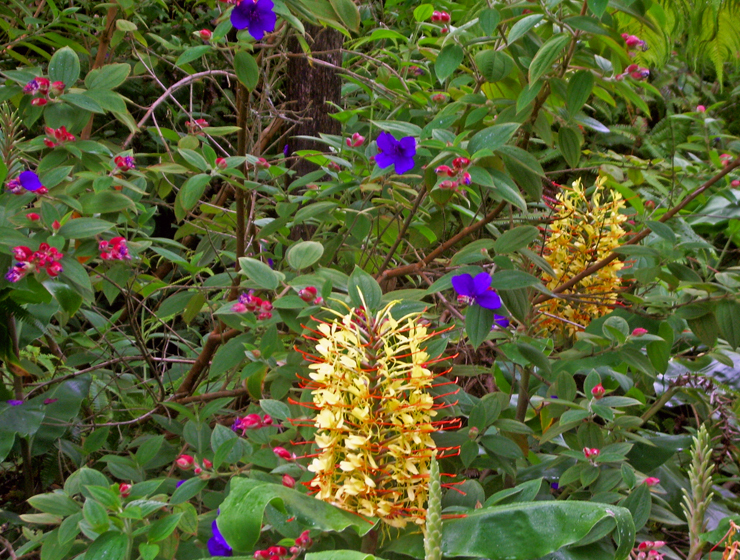 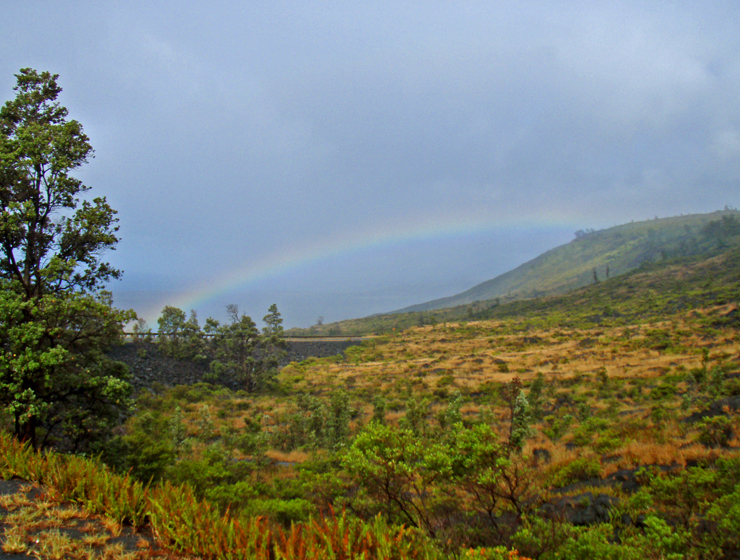 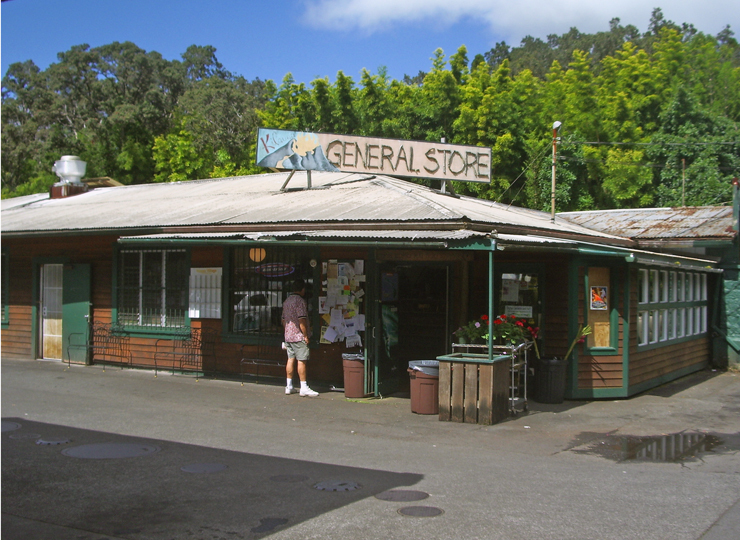 For more information on visiting Hawaii in general and touring the Big Island in particular, please also visit www.tourguidehawaii.com and www.tourguidehawaii.blogspot.com.